In order to have a beautiful trail, WE NEED YOUR HELP! Trail adopters usually work a minimum of one day a year. They use hand tools only, such as branch loppers, bow saws, and shovels and keep the trails clean and clear. If a big tree has come down, we ask that volunteers create a bypass around the tree until such time as we can get in there and chainsaw it out. Fourth Connecticut Lake Trail – This is the Nature Conservancy path right on the Canadian border where Route 3 terminates at the Port of Entry station. This path starts in the wide border clearing swath and stays with it about halfway until the path leaves the swath on narrow woods path down to and around the pond. 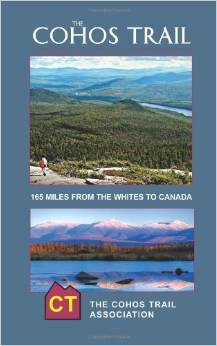 This mile-long trail climbs to the west up a steep grade at first and then becomes a pleasant woods walk in true boreal forest up to and completely around Fourth Connecticut Lake (a two-acre fen) that is the headwaters of the Connecticut River. No dogs allowed. 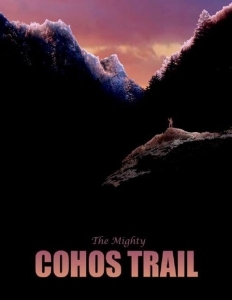 We look forward to you joining our effort in keeping the Cohos Trail open and safe. 1. Use hand tools. We don’t sanction the use of power tools as a matter of policy. Please do not use power tools. If you come across something that requires a chainsaw to remove (and you can’t bypass it), let us know. We will take care of it. Most blowdowns can be removed with a Fiskar Powertooth hand saw, the best hand saw for trail use ever invented. Or use a bowsaw with a very sharp blade. Or use an ax if you know how to use an ax well. Be sure it is very very sharp so that it bites into the wood and doesn’t bounce off. If you are not skilled with an ax, don’t bring one with you. 2. Use protective eyewear and gloves at all times. 3. Clip the trail four feet wide and eight feet high where possible. Remove larger forest debris on the ground. Do not cut new trail ever. We must have permission to create new trails. 4. Blazing may be retouched. You may only use bright yellow latex paint. Never oil-based paint. Use 2-inch foam brushes only. Touch up blazes carefully and don’t use too much paint so that it runs. You may touch up cedar wood blazes with paint if some are on your trail. Do not add new blazing. You may be reimbursed for paint and brushes. Never use an ax to cut a blaze into a tree. Use only paint. If we provide you with cedar wood blazing painted yellow and aluminum nails to fasten them to a tree, be sure to leave half an inch of exposed nail so the tree may grow without breaking the blaze off. Do not provide your own wooden blazes. 5. Take a first aid kit with you. Take plenty of water and a snack or lunch. Use natural-substance bug dope and wear a broad-brimmed hat sprayed with bug dope during black fly season. It makes a big difference in your ability to keep the black flies away from your ears, mouth, neck, and eyes. If you use an ax, be sure to take a belt or a piece of rope with you that you could use as a tourniquet in case of an accident. Take a light source with you, matches, and a space blanket in case you can’t get out of the woods before dark and must overnight in the forest. Packing a rain poncho or shell is a wise idea, too. 6. Check the condition of signs and trail infrastructure such as bridges and bog bridging. Let us know if you think there might be a problem with any structure. 7. Pick up any litter and take it out of the woods, please. 8. Let us and someone you care about know about where you are going to be working and when. If you run into trouble and can’t get out of the woods, someone will know that and help can be gotten to you. Take a cell phone with you. Reception is spotty along the Cohos Trail, however. 9. Please let us know if you can’t continue as a trail adopter. We will try to find another volunteer to take on the task. 10. Ask us for a trail maintenance log form. We can email a PDF to you or send a few to you via snail mail.